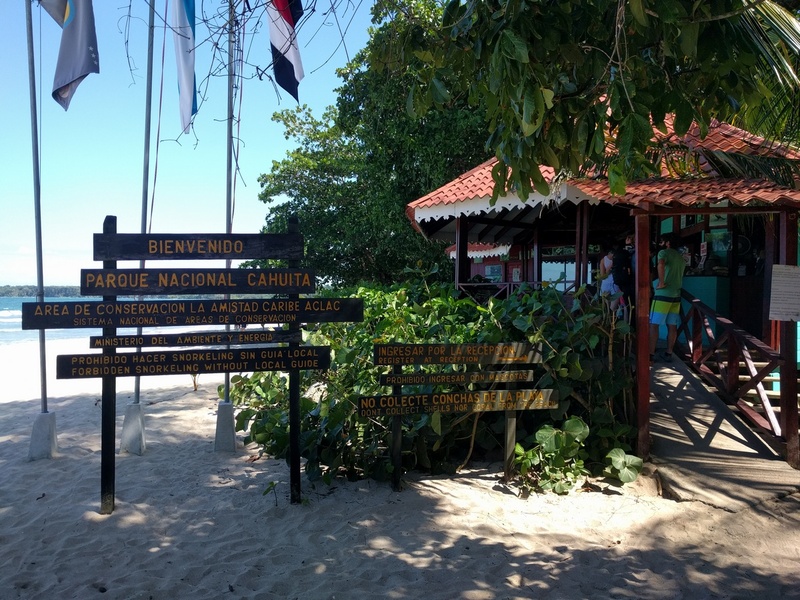 This is the main entrance to Cahuita National Park accessed via a foot bridge over Kelly Creek. Pedestrian only. Here you'll pay a donation to enter the park ($5 USD is suggested which is the mandatory fee at the Puerto Vargas entrance). There are toilets and showers just beyond the entry station.